Wolves are set to confirm the club-record signing of striker Raul Jimenez from Benfica for £30m on Thursday. The Mexican, 27, has scored 15 goals in 37 games since joining the Premier League newcomers on a season-long loan in June 2018. 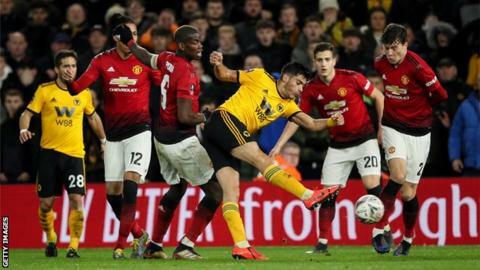 He has helped Wolves to seventh in the table and played a key role in them reaching Sunday's FA Cup semi-final against Watford. The fee surpasses the £18m paid for Adama Traore in August 2018. He won consecutive titles with Benfica in 2015-16 and 2016-17, in addition to the Portuguese Cup and Portuguese League Cup. Jimenez began his career with Mexican side Club America and won two Liga MX titles with his boyhood club. At the 2012 Olympics in London, Jimenez came on as a late substitute in Mexico's 2-1 win over Brazil in the gold-medal match at Wembley. He has scored 16 goals in 71 internationals and played at the 2018 World Cup as they reached the last 16, losing to Brazil.